Where did March go? 3 days into the new job and all is going very well, I am a happy camper. It is great to be back to work and the library staff is very friendly and the work environment seems so relaxed. I'm tired from getting up early, but I'm sure that will get better. How was your month in books? I actually surprised myself when I pulled my stats (but 2 were kids books). Reagan Arthur Reading Challenge - 0/? Waiting On Wednesday is hosted by Jill over at Breaking the Spine. What book are you waiting for to be released? What possesses someone to save every scrap of paper that's ever come into his home? What compulsions drive a woman like Irene, whose hoarding cost her her marriage? Or Ralph, whose imagined uses for castoff items like leaky old buckets almost lost him his house? Or Jerry and Alvin, wealthy twin bachelors who filled up matching luxury apartments with countless pieces of fine art, not even leaving themselves room to sleep? Randy Frost and Gail Steketee were the first to study hoarding when they began their work a decade ago; they expected to find a few sufferers but ended up treating hundreds of patients and fielding thousands of calls from the families of others. Now they explore the compulsion through a series of compelling case studies in the vein of Oliver Sacks.With vivid portraits that show us the traits by which you can identify a hoarder--piles on sofas and beds that make the furniture useless, houses that can be navigated only by following small paths called goat trails, vast piles of paper that the hoarders "churn" but never discard, even collections of animals and garbage--Frost and Steketee explain the causes and outline the often ineffective treatments for the disorder.They also illuminate the pull that possessions exert on all of us. Whether we're savers, collectors, or compulsive cleaners, none of us is free of the impulses that drive hoarders to the extremes in which they live. For the six million sufferers, their relatives and friends, and all the rest of us with complicated relationships to our things, Stuff answers the question of what happens when our stuff starts to own us. 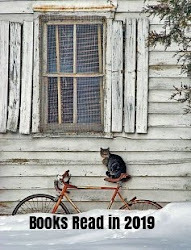 Mailbox Monday is a fun meme where bloggers reveal the books that arrived at their house (by mail) over the past week. Thanks to Marcia of The Printed Page. Lotus Eaters (below) was also a win from Kristen. Did you have a good week? I spent time this week getting reading for my new job which I begin tomorrow. I had fun shopping for lots of new clothes and shoes etc. since I have not worked in nearly a year. I also got a hair cut, and I am good to go. I am really excited about the job though, and can't wait to get back into the work routine, and meet new people etc. Did I mention that the primary duties in my new library job will be ordering new materials and cataloguing? (That is what I did at my last job as well). I like the fact that it does not involve working with the public, yet I still get to see all the new materials. I am one of those people who love my sleep and private time, so I've been spending a lot of time thinking about my work routine (yep ...I'm a planner). I'm thinking about hitting the sheets by 10:30 pm each evening, and getting up at 5:00am, so that I can check email, blog on occasion, have a relaxing breakfast, shower and be out of the house by 7:40am. My hours are (8-4) and it is only 6 miles from home. As for my reading, I've accepted the fact that it will slow down, and that I will be listening to more audio books, when I walk at lunchtime, or while driving and before bed. This week, I met another high school friend. This one I had not seen in over 20 years, and once again, it was yap, yap, yap, just like old times. So much fun.. now we want to coordinate (4) of us from the old gang getting together for even more chatty, gossipy girl talk. For a complete list of Sunday Salon participants, you can click HERE. Congrats Nan, and thanks to all who took the time to enter. I'm guessing many of you have a pretty big collection of unread or nearly new ARCs that you'd love to pass on to someone who might enjoy them? 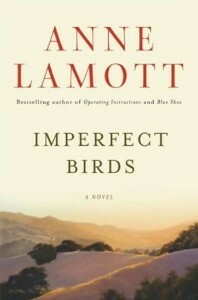 I tend to post and swap many of my books on Paperbackswap.com, however, you are not allowed to post ARCs on their site. We all know you can't sell them either, but why can't we offer them up to other book lovers? I've wanted to see if any bloggers, might have an interest in "swapping ARCS"? In my mind this is how it might work, but I am open to suggestions if some of you have a better idea? 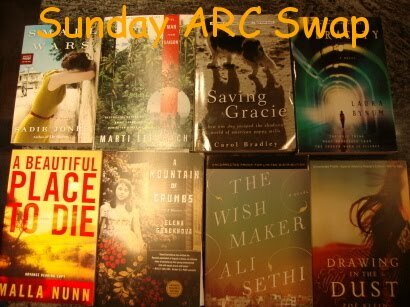 Each Sunday, book bloggers would post some ARCS that they would like to swap/give away; all that would be required is that, if you see a book you would like, you pay for media mail postage (within the US - generally around $3.00); or, we could do a (1) for (1) swap. 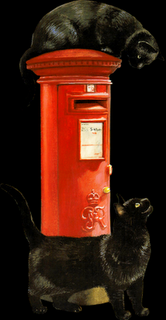 I'd love to do this internationally, however postage costs are too expensive. If you see a book that you would like, post a comment with your email address, and one of two things could happen: (1) - If you have a paperbackswap account you could transfer (1) credit for each book you'd like to request, using the buddy credit option. This credit will pay for shipping costs to mail you the book. If you do not have a paperbackswap account, perhaps bloggers could do a mutual swap. (You tell us what books/ARCs you would like to swap). If there is enough interest, this could be a regular Sunday post. What are your thoughts? Could this work? All comments appreciated! 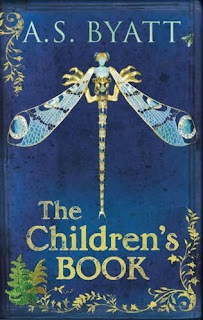 Who doesn't love beautiful children's books from time to time? Well this book is just so precious. Make That a Table for Seven: A Grizzly Family Story: Ferbie and Peppie Find a Home. In this a story about two frightened and lonely little bears. 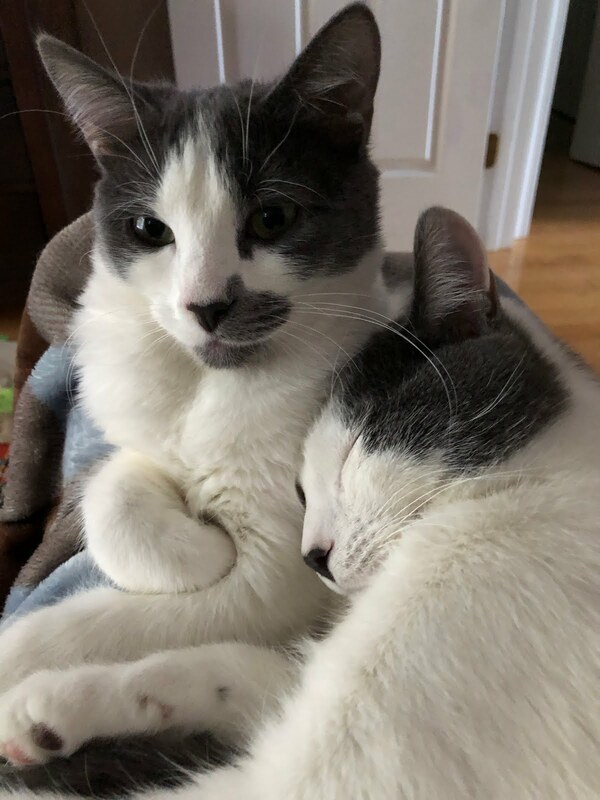 Ferbie and Peppie, are left in the woods and looking for a home. The Grizzly family is taken with these two adorable cubs, and they offer them a place to stay with them and their children. The story is based on real life events of the Davis family, who adopted two children and offered them a safe home filled with love. The story demonstrates that families come in all shapes and sizes, and opening one's hearts to new possibilities, and helping those in need is what life is all about. House Rules takes place in Vermont, and the major players of the story are Emma Hunt, and her two teenage sons. Jacob is eighteen and has Asperger's syndrome, and his brother Theo, is a normal fifteen year old boy, but one whose childhood has suffered somewhat as a result of his brother's condition. For life revolves around Jacob and the importance of keeping order to his life. He lives a life of routines. 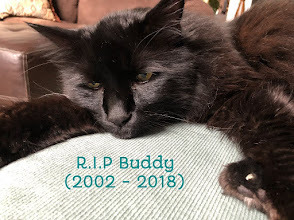 For example, he eats only certain colored food on certain days, watches the same shows on television at the same time each day (CSI is his favorite). In fact, Jacob possesses so much knowledge on the subject of forensics, he could truly aid the investigators. 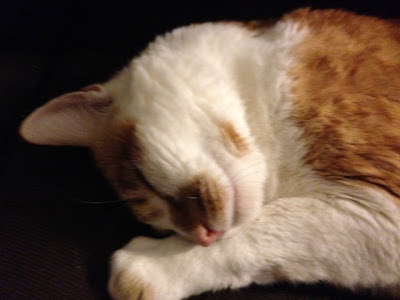 However, although Jacob is very intelligent, what he sorely lacks is social skills --common in people with Aspergers. To help Jacob, his mother Emma hires, Jess, a pretty grad student to tutor Jacob in developing social skills. Without giving away too much of the plot, I will just say that the story ends with a murder trial, and I was not disappointed by the ending. I can honestly say that this novel held my interest throughout. 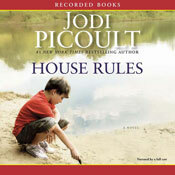 I have read all of Jodi Picoult's books, many shined, but others not so much. This book made me glad that I had not given up on this author. This review is based on the audio book which was borrowed from my local library. The audio book made this story a home run for me. It was fantastic, as it was narrated by five different readers: Mark Turetsky, Nicole Poole, Andy Paris, Christopher Welch and Rick Orlow. Each reader so beautifully captured the characters perfectly. The chapters alternate with multiple viewpoints. Picoult did a terrific job portraying Jacob, a teen with Aspergers, and what his life and the life of his family was like as a result. This meme is hosted by MizB at Should be reading. These are a few books I found while reviewing my wish list. Do you see a theme here? 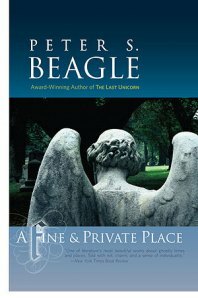 Amazon ---Eloquent, meditative observations on the place of death in small-town life, from the only poet/funeral director in Milford, Mich. Poets like Lynch (Grimalkin and Other Poems) tend to be more respectful about death and the grave than novelists like Evelyn Waugh or journalists like Jessica Mitford. 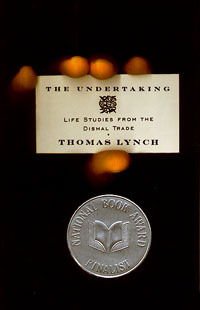 Lynch lives by the old- fashioned undertakers' motto, ``Serving the living by caring for the dead'' (as opposed to more mundanely providing, as one seminar put it, ``What Folks Want in a Casket''). Taking up the family business, Lynch philosophically bears his responsibilities in Milford, which has its statistical share of accidents, suicides, murders, and grieving survivors. His essential respect for the living and the dead notwithstanding, his shop talk perforce has its morbid aspects, such as making ``pre-arrangements'' with future clients, reminding families about uncollected cremation ashes, taking middle-of-the-night calls for collection, or, in a rare filial obligation, embalming his own father. But the author has a sense of the absurd possibilities of his business, even a whimsical scheme to run a combination golf course/burial ground. In one of the livelier essays, he reflects on the competition--both professional and philosophical--fellow Michiganite Dr. Jack Kevorkian, with his no-muss suicide machine, poses to Uncle Eddie's postmortem-clean-up business, Specialized Sanitation Services (``Why leave a mess? Call Triple S!''). In the high point of these dozen essays, he combines his profession and his vocation, delivering the dedicatory poem for the reopening of the restored bridge to Milford's old cemetery--``This bridge connects our daily lives to them,/and makes them, once our neighbors, neighbors once again.'' Already excerpted in Harper's and the London Review of Books, this thoughtful volume is neither too sentimental nor too clinical about death's role (and the author's) in our lives. Amazon---Greystones is a moldy, drafty house of no great distinction located in the equally nondescript English town of Spaxton. The domineering and cantankerous Dorothy Glover has finally passed away, leaving her middle-aged progeny, Helen and Edward, to examine their lives, both past and future. It's a subtle plot and one that does well with Lively's ( The Road to Lichfield ) gently assured style. By revealing developments through small details--the discarded dishrags that mark the beginning of a relationship and the glimpse of a watch that signals its end--she delicately delineates the impact of love, scandal and turmoil. On the rare occasion when Lively gives reign to sweeping statements, as when the dramatic Louise comments on motherhood ("At the moments you wish you were shot of the whole thing you know perfectly well that it's precisely because you couldn't endure to be without it, now you know about it, that you've got to go through all this"), her writing doesn't quite ring true. But such instances are rare in this consistently engrossing tale. Amazon ---- Conversing in a mausoleum with the dead, an eccentric recluse is tugged back into the world by a pair of ghostly lovers bearing an extraordinary gift--the final chance for his own happiness. When challenged by a faithless wife and aided by a talking raven, the lives of the living and the dead may be renewed by courage and passion, but only if not belatedly. Told with an elegiac wisdom, this delightful tale of magic and otherworldly love is a timeless work of fantasy imbued with hope and wonder. After multiple printings since 1960, this newest edition will contain the author's recent revisions and will stand as the definitive version of an ageless classic. Your turn... Find anything good you'd like to share? 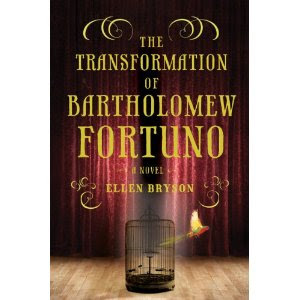 This novel begs parents to ask themselves the question, "how much freedom is too much freedom to allow your teenager". This book is number three of a trilogy --I have not read the other two books: Rosie and Crooked Little Heart, but it is not necessary to read them to fully understand this story. In this novel, seventeen year old Rosie Ferguson is an intelligent and pretty girl who had always been pretty open with her mother. In the past she has shared personal details with her family about her friends and classmate's problems. However, as the new school year approaches it becomes clear, at least to the reader, that Rosie is a troubled girl in crisis. Her mother, Elizabeth, is a recovering alcoholic and suffers from anxiety and depression. She knows her daughter hangs out with a fast crowd, and that Rosie has not always been honest with her, but yet Elizabeth hates to make waves. She fears that if she digs too deep, she may risk ruining her relationship with her daughter. 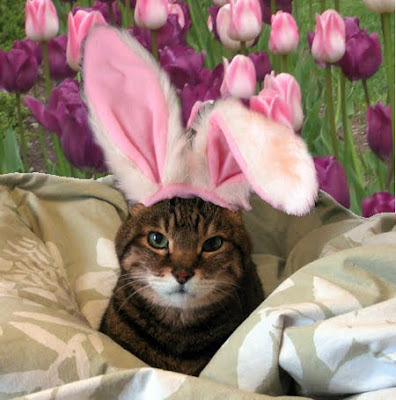 Rosie has a stepfather, who is obsessed with work, and he seems to be pretty much a non entity. However, when a crisis occurs and things get out of control, the parents are forced to take action to help their daughter. If you look hard enough into the history of anything, you will discover things that seem to be connected but are not." So claims a character in Frederick Reiken's wonderful, surprising novel, which seems in fact to be determined to prove just the opposite. How else to explain the threads that link a middle-aged woman on vacation in Florida with a rock and roll singer visiting her comatose brother in Utah, where he's been transported after a motorcycle injury in Israel, where he works with a man whose long-lost mother, in a retirement community in New Jersey, recognizes him in a televised report about an Israeli-Palestinian skirmish? And that's not the half of it. 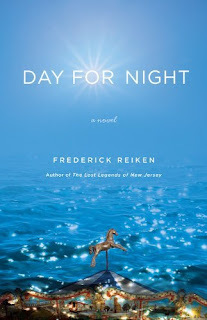 In DAY FOR NIGHT, critically acclaimed writer Frederick Reiken spins an unlikely and yet utterly convincing story about people lost and found. They are all refugees from their own lives or history's cruelties, and yet they wind up linked to each other in compelling and unpredictable ways that will keep you guessing until the very end. The audio version of this book is read by Grover Gardner who did a wonderful job with this novel. At first I was not sure what to make of this unusual novel. An unknown man is pulled from the Strait of Gibraltar, and when he wakes up, he finds himself in the Sevilla Institute for the Mentally Ill. The year is 2005, and the man claims to be Christopher Columbus. 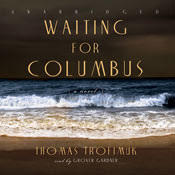 To his lonely nurse, Consuela Lopez, and the psychiatric staff, the man who claims to be Christopher Columbus, details stories of his conquests including tales about the women he has loved. His stories move from the 15th century, rich in period details to the present day. Quite frankly, some of the details he reports to the staff, clearly seem to be of a man who has lost touch with reality. He is obviously an intelligent man, and it is not long before nurse Consuela, who listens to his stories of love and adventure, day after day, begins to fall for this mystery man. There is a puzzle to piece together here, and as a reader you will probably be wondering, like I did, why is an Interpol agent from France is traveling to Spain looking for a mystery man, and possible assailant--is there a tie? MY THOUGHTS - Boy, can this author can write. The prose is simply beautiful, and for that very reason, I wish I had the print version instead of the audio book. Don't get me wrong, I enjoyed the audio book, however, the writing is the rare style made me wish I could savor some of the passages over and over again. With the audio version it was also hard to distinguish between some of the narratives, and there were times that I felt I should just stop, and try to get the book from the library instead. I did not give up, as this book drew me in, and I was anxious to unravel the mystery. It was one of those books you pick up and don't want to put down until you finish the story. I was not prepared for the ending, and I will be thinking about it for some time I am sure. Each new year it seems I am always looking for a quick and easy way to lose weight. I haven't found one, have you? It seems most of my life I've carried some extra weight. I realize portion control is my issue, and the fact I swear I have extra sensitive taste buds :) Everything tastes so very good. 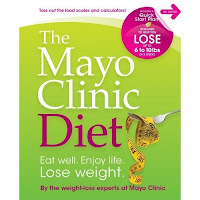 For 2010 The Mayo Clinic Diet struck my fancy when I saw it at the library. I especially liked this book because it is written by a team of Mayo Clinic Foundation experts. The organization, at least in my opinion, is well known and well respected. So what is this book all about? The weight loss plan is not a fad diet. It is a realistic, long term plan that for most people would seem easy to follow. Part 1 - The diet includes a first 2-week Quick Start plan that helps to get you motivated to lose somewhere between 6-10lbs during the first two weeks in a safe and healthy manner. There is even an easy quiz to take to see if this is the right time for you to try and lose weight (are you motivated enough). It asks you to find what it is that motivates you to lose weight (better health, more energy, look better etc); adding 5 habits; breaking 5 habits, and adopting 5 bonus habits. Part 2 - This section discusses setting weight loss goals, calorie goals, burning calories and more. Part 3 - All the extra Stuff encompasses - Your BMI, why you are overweight, health risks, nutrition, the healthy weight pyramid, changing behaviors, menus, dealing with challenges, eating out and burning more calories. MY THOUGHTS - What I liked about this book was that it was well organized, beautifully illustrated with color photos, charts, graphs, menus, and exercise plans (yes, I thought I could somehow avoid the exercise, but no it is not an option if you are serious about your weight loss success). I liked the book a lot, but I do have to admit that I did not learn much that I did not already know, EXCEPT that I was not motivated enough, at least right now, to begin this diet plan. The quiz suggested that I reassess myself in the near future, which to me sounds like a plan. To me that makes a lot of sense considering I will be beginning a new job in a week. If you are looking for a sensible diet plan, especially one with a quick start option, and you feel emotionally ready to take the plunge, then give The Mayo Clinic Diet a try. Did you get any good books? Please share! 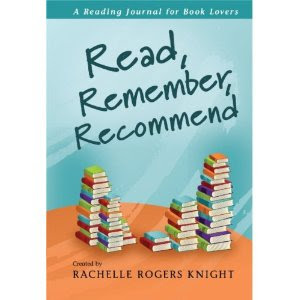 * This reading journal looks awesome - a must for book lovers everywhere! 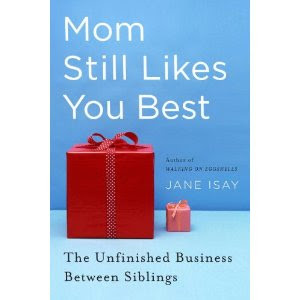 * This title really appealed to me as my two adult children still say this all the time! Well, this week I was on a high for sure, especially when I received the call to say I got the library job that I was hoping for (start date - March 29). The benefits are terrific too, and they take effect April 1st which shocked me....woot! But you have to take the good news with the bad right, well then yesterday we got a scary looking IRS envelope, and for the bad news....they found an omission on our 2008 tax filing. We owe them an addition $697.00 --gezz.....didn't they get enough from us (apparently not). Monday is my daughter's birthday, and we celebrated yesterday. The traditional birthday fare: pizza, salad, and pistachio cake. (Yes, we did do this last month for my husband and SIL). It was in the low 70's for (4) days this week, but us New Englanders know not to get too excited about stuff like this -- it's suppose to be in the 40's again a few days next week. NEW RESOLUTION: I decided that I am only going to use the library for audio books and DVDs. I have way too many of my own books (just realized that). I love copying audio books into ITUNES for future IPOD listening pleasure. This week's audio books: House Rules; Picoult - The Wild Zone; Fielding and Hot House Flower and the Nine Plants of Desire; Berwin. Thanks for my Lovely Awards this week. 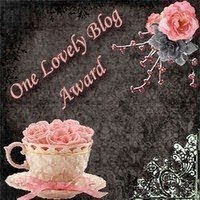 Dr. Bill has sent along the One Lovely Blog Award this week. 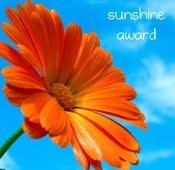 Amanda has sent me the Sunshine Award - have you seen her blog, it's great. Aruba is my favorite place to vacation - the weather is ALWAYS perfect. My husband is very smart, but is directionally challenged. He could get lost within miles of home. I have this thing for pristine books (yes, a bit of a book snob here). I've made peace with the fact that I have about (15) review books from 2009 that I will never read, because I know now I would not enjoy the book. I am super choosy now about what I choose to review. I snore (I once had a husband who tape recorded me to prove it) -- ex-husband now! I like love poker slot machines , but we only visit the casino 2-3 times a year. I've won way more money than I've lost. My last visit was for my December birthday and I won $1,000..... AKA "Lucky". 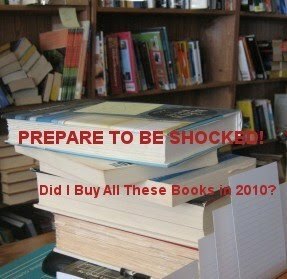 I use to be a clothes addict; now I am a book addict and computer addict (better choices - but still an addict - the word moderation is not in my vocabulary). I could watch the same episodes of Seinfeld, Frasier, King of Queens and Golden Girls over and over again, and can quote them just about word for word. I so loved this book and decided to do a (one week only) chance to enter your name in my giveaway, for a almost new ARC. Winner will be announced next Sunday - March 28th. You can read my review here. Open to US and International bloggers. Not a follower ? Become a new follower and comment with your email. Did you know . 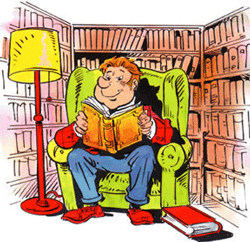 . . that today is Bibliomania Day? On March 20, 1990, Stephen Blumberg of Ottumwa, Iowa, was arrested for stealing over 23,600 books worth $20 million and weighing 19 tons. So look out for a the "bookey-man"! Like many book thieves, Blumberg was also a book lover. "It was his habit to read constantly through the night, cat-napping, waking, reading, dozing, waking, reading again, never fully sleeping. " 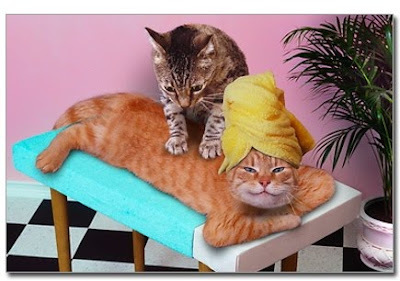 Kim tagged me (you will pay for this Kim): I don't want to suffer her wrath by not doing as instructed. Do you have a way to remember what books you have read? yes - journal and Good Reads account. What is a favorite book? Too many, I'd hate to pick just one. Author? Again, I have several favorites. 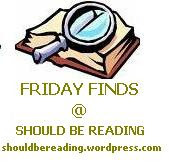 Do you loan books out to others? I prefer not to, at least until I've read it, but then I don't mind. How do you keep track of them? I'd rarely want it back if I read it. Tag -- You're caught! And are being brought in for questioning . . . submit a post or suffer the consequences. These are a few books I've had on my wish list that will soon to be released. During the summer of 1968, Shenandoah Carmody's mother disappeared. Her twin sister, Woody, stopped speaking, and her once-loving father slipped into a mean drunkenness unbefitting a superior court judge. 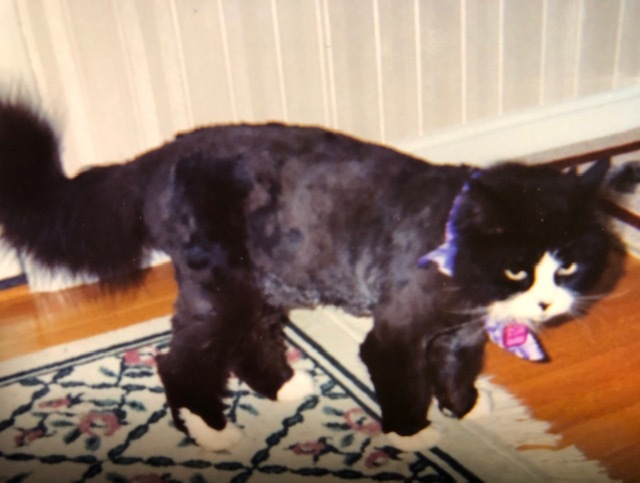 Since then, Shenny-named for the Shenandoah valley-has struggled to hold her world together, taking care of herself and her sister the best she can. Shenny feels certain that Woody knows something about the night their mother vanished, but her attempts to communicate with her mute twin leave her as confused as their father's efforts to confine the girls to the family's renowned Virginia estate. As the first anniversary of their mother's disappearance nears, her father's threat to send Woody away and his hints at an impending remarriage spur a desperate Shenny to find her mother before it's too late. She is ultimately swept up in a series of heartbreaking events that force her to come to terms with the painful truth about herself and her family. 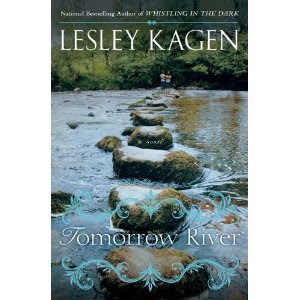 Told with the wisdom, sensitivity, and humor for which Lesley Kagen has become known, Tomorrow River is a stellar hardcover debut. In Washington, D.C., life inside the Goldstein home is as tumultuous as the shifting landscape of the times. It is 1979, and Benjamin is heading off to college and sixteen-year-old Vanessa is in the throes of a rocky adolescence. Sharon, a caterer for the Washington elite, ventures into a cult-like organization. And Dennis, whose government job often takes him to Moscow, tries to live up to his father’s legacy as a union organizer and community leader. The rise of communism and the execution of the Rosenbergs is history. The Cold War is waning, the soldiers who fought in Vietnam have all come home, and Carter is president. The age of protest has come and gone and yet each of the Goldsteins is forced to confront the changes the new decade will bring and explore what it really means to be a radical. 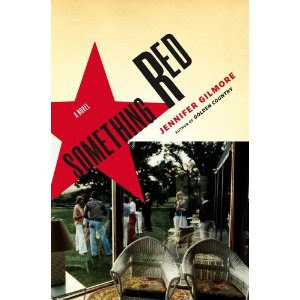 Something Red is at once a poignant story of husbands and wives, parents and children, activists and spies, and a masterfully built novel that unfurls with suspense and humor. 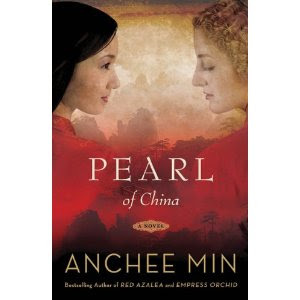 In this ambitious and moving new novel, Anchee Min, acclaimed author of Empress Orchid and Red Azalea, brings to life a courageous and passionate woman who loved the country of her childhood and who has been hailed in China as a modern heroine.